Hi all! It’s good to be back after a very very long couple weeks. Thank you all for your thoughts and prays. I won this agenda from Tejal over at All My Hues. Thanks! Tejal has already done a wonderfully detailed review of this agenda. Since I agree with just about everything she said there’s no sense in me repeating it. This post is simply meant to give you my thoughts about this agenda. 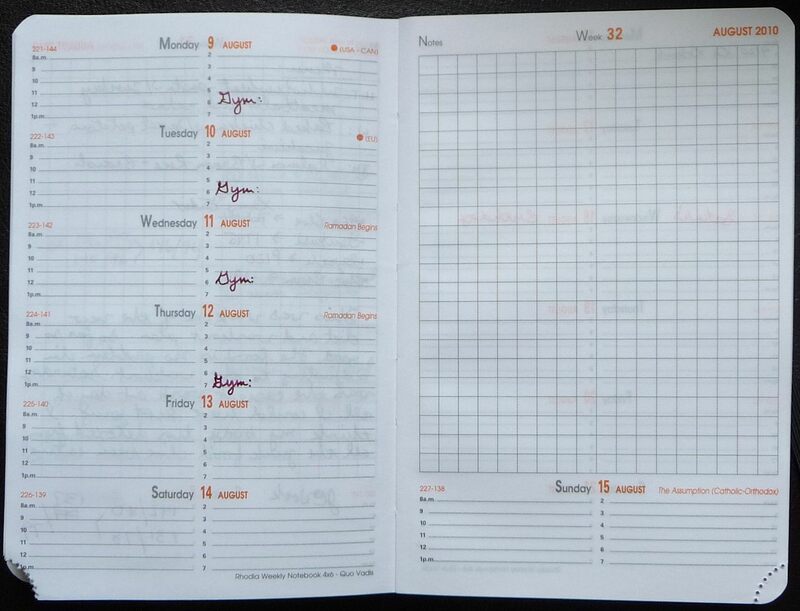 Thus began my quest for a pocket sized planner with good fountain pen friendly paper. 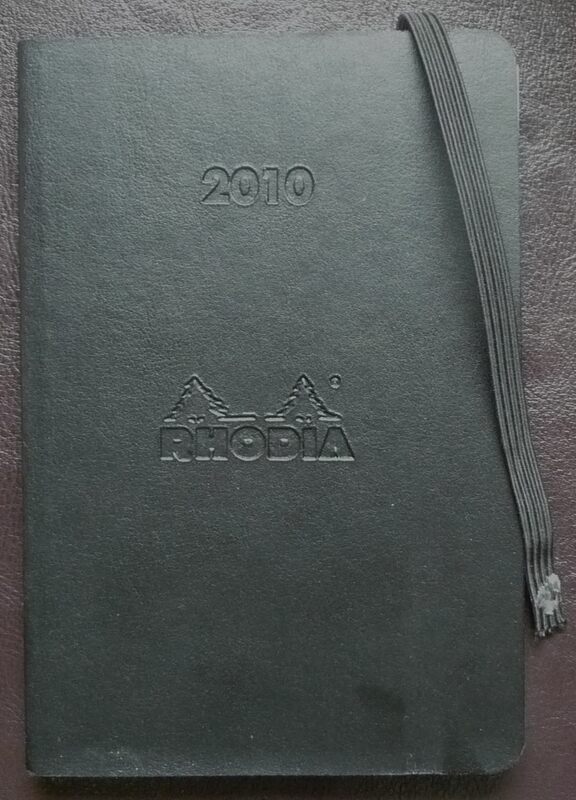 This little Rhodia Weekly is my first (second?) stop on this adventure. So far, it’s outshining the Sapa X and its recycled paper. For the price, this little agenda seems rather flimsily made. The cover is leatherlette glued onto a cardboard backing. However, the cover is already beginning to separate along the bottom edge and it hasn’t really been used much less carried around. I love the elastic band though. It’s taut and seems to be secured well… Or at least that’s what I thought. It broke after about a week’s use. The layout isn’t bad at all, but there is simply not enough room for serious planning. The paper is pretty good though. It’s 64 g paper, but fountain pen inks do not bleed through or feather on it. There is some show through, but not enough to render the agenda useless. The paper will even take wet broad nibs without a problem, but you’d best stick to a fine or extra fine nib if you want any prayer of actually being able to use the tiny little planning sections of this agenda. All in all not a bad planner, but it’s not the one for me. I need something a bit more sturdy and capable of handling heavy planning. I also think the sections to write in are really too small. What about the monthly view and how small those sections are? I am not sure what the point of having a monthly view calendar section is when the sections to write in are impossible to write in. Nice! I’ll link to this tomorrow. 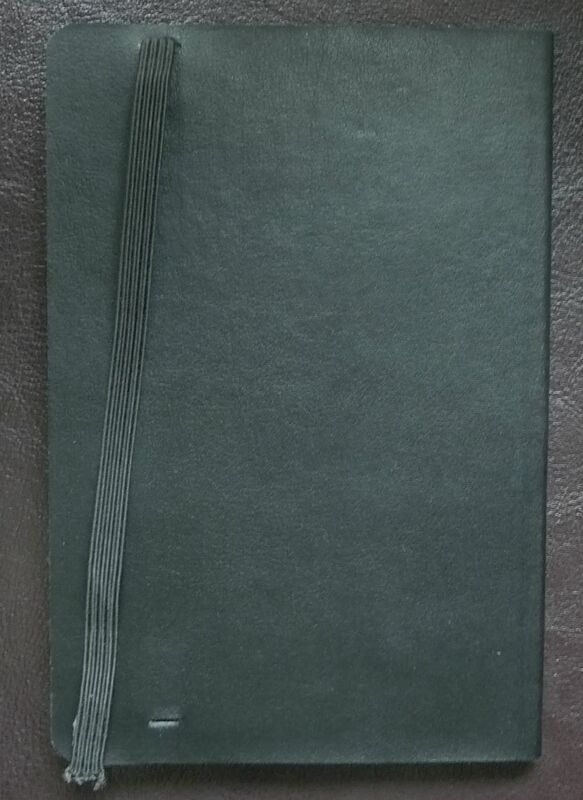 I have this same planner and haven’t had the same problems with the elastic breaking or the cover peeling off the backing. So far it’s holding up really well. I do agree that the space for each day’s plans is rather small so it wouldn’t be suitable for someone with a ton of plans each day. The small space does work with my schedule quite well and I like to use fine nib fountain pens on Rhodia paper so that the ink dries more quickly. 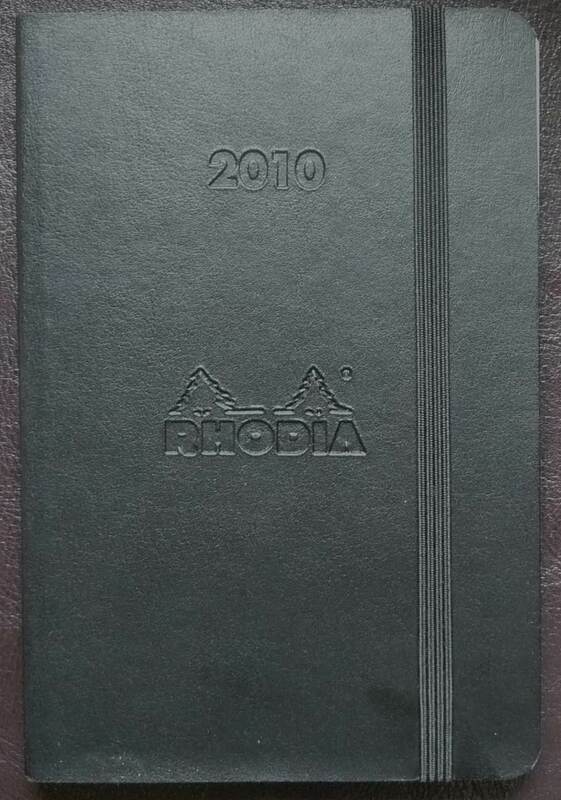 The larger size 6×9″ Rhodia Weekly Notebook has 90g paper which some fountain pen users might like better than the 64g. Thanks for the review! Thanks Cheryl for providing another opinion on this planner. It’s possible that the one I received was just a bad one out of the batch. PS – I love your dizzy pen cartoon!